What makes people tick? and how to engage and motivate your team to willingly do the right thing (compliantly). Dr William Holden is Chairman of Sewells, the world’s premier business and people development organisation. In 1990 Will became the sole owner of Sewells. Prior to owning Sewells, Will was the Divisional Vice President (Europe) of the Ryan Insurance Group (that morphed into being the AON Corporation) where he was responsible for growing the sales and accounts of finance and insurance products and services across Europe. Will is an inspirational and entertaining speaker who has appeared as a motivational and business development expert on TV, radio and other media such as The Times and The Sunday Times. Sewells is a Business Improvement Organisation that specialises in helping businesses optimise their overall performance and results through positively changing the mind-sets and attitudes of everyone in the organisation through mastering the fundaments of leadership and managing change successfully. Iain founded Radius Law in September 2013. Radius Law is a new model law firm that embraces technology, flexible working and commercial pragmatic advice. Prior to establishing Radius Law, Iain was the chief lawyer and compliance officer for the Mercedes-Benz UK Group. In his roles at Mercedes-Benz and at Radius, Iain has had experience of managing regulatory investigations and the implementation of effective compliance programs. 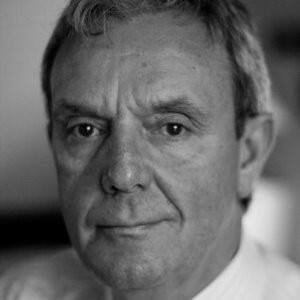 Iain is a regular speaker and legal trainer and has become known for his lively and entertaining presentations.